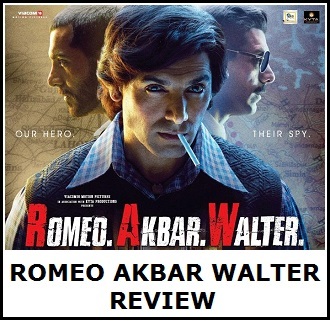 Simmba Movie Review, it is a Sure Shot Blockbuster! Rohit Shetty latest directorial 'Simmba' is released in theaters today starring Ranveer Singh and Sara Ali Khan. Expectation is colossal for obvious reasons. Film is releasing in New Year time. It is directed by 'HIT' machine Rohit Shetty. There is a cameo of Ajay Devgn as Bajirao Singham. Will Simmba be able to match to other famous cop series, Dabangg and Singham brand? Will Ranveer Singh able to justify the Simmba character? 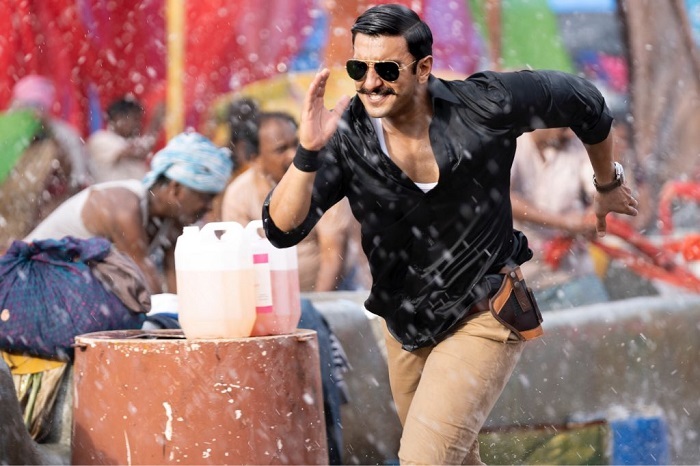 Finally, will Simmba be a HIT at box office? 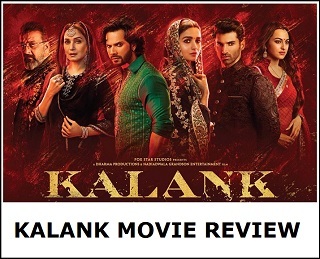 Without any more delay let's start the movie review. Plot (No Spoiler) - Simmba (Ranveer Singh) is an orphan from Shivgadh from where much beloved Bajirao Singham (Ajay Devgn) was born and raised. Exactly opposite to the philosophies of Singham, Simmba is a corrupt officer. Simmba takes full advantage his corrupt nature to enjoy life to the fullest. However, there comes a situation when his own dear ones is assaulted and abused. At this moment he decides to leave his corrupt life and be a righteous person. He decides to give justice to his loved ones. Will he be able to that? To know one has to watch the film in theaters. Simmba is full of comedy, action, drama, emotions. Film start with a bang. The love angle between Ranveer and Sara is good although very short. The clash of Simmba vs Durva Ranade (Sonu Sood) is epic! The entry of Ajay Devgn is whistle-worthy. No doubt there will be mass pandemonium in theaters at the time of his entry. The entry of Akshay Kumar (no details and no spoiler again) is surprising and raise curiosity level for the next. All in all film is a mainstream masala potboiler with right emotions embedded at right moments. Simmba is an out and out full on masala entertainer on the lines of Dabangg and Singham. Don't know but have a feel that in many scenes we gets remind of iconic characters Chulbul Pandey and Bajirao Singham. Yes, I know this is a fantasy, but it will be simply epic is someone somewhere brings all these iconic character under same roof. Yes, Akshay's addition is a pleasant surprise. Coming to performances, Ranveer Singh simply stands apart in Simmba. He simply tears the big screen. He is a blast! If he was deadly in Padmaavat, he is even better in Simmba. This is his untouched territory and he announces his arrival in some style. He is simply mindblowing in the role of Sangram Bhalerao! Sara Ali Khan looks beautiful and makes an impact in a short role. She is here to stay. She looks confident. Her expression, dance and style everything looks so polished like a pro. No one can say that she is just two films old. Sonu Sood looks deadly. He is fantastic as Durva Ranade. Ashutosh Rana as Nityanand Mohile is first rated. Rest all have done justice to their respective roles. Ajay Devgn is a legend in the role of Singham. God knows what will happen in theaters when the next Singham will release. We simply can't wait for that to happen. Most likely there is a collaboration of him with Akshay. Already makers have given the official announcement in the end part of the film. Don't miss it! Direction of Rohit Shetty is top notch. He is the captain of the ship and he delivers another massy entertainer with a solid message. Finally, Rohit Shetty knows what audiences want. We suggest every 'flop' film director to watch Rohit Shetty's film on how to make good films for the audiences! Verdict - Simmba is outstanding and a sure shot Blockbuster. Those who love cop films, those who loved, Wanted, Dabangg, Singham, Rowdy Rathore will definitely love Simmba. Simmba is a pure unadultered unabashed out and out masala entertainer. But it has a strong message also. And it entertains 10 on 10. We think Simmba has potential to be the next 200 crore grosser in India alone. At box office film may take a slow start. But it will grow big from Friday evening onward as weekend will approach. There is no doubt film will run riot at box office through the extended New Year weekend. It is an attack! Ratings - 4/5. Another half star for the cameos of Ajay and Akshay which raises the curiosity level for the next! Highly recommended! Go with whole family to enjoy and have a great time in theaters. People are clapping, crying, whistling, some children start jumping on/near their seats. sir u have flown in emotions again like you did in Zero. Film will be success but not a big block buster. It sho gold do around 175 crore as due to high ticket price for next 5 days. Plz keep your emotions and professional duties at distance. They should actually, will be deadly combo and will explode box office. Mr ravi yes zero gone but put lot of loves on everyones heart. Rs and akki will rock..
Definitely boxoffice will be on fire! !